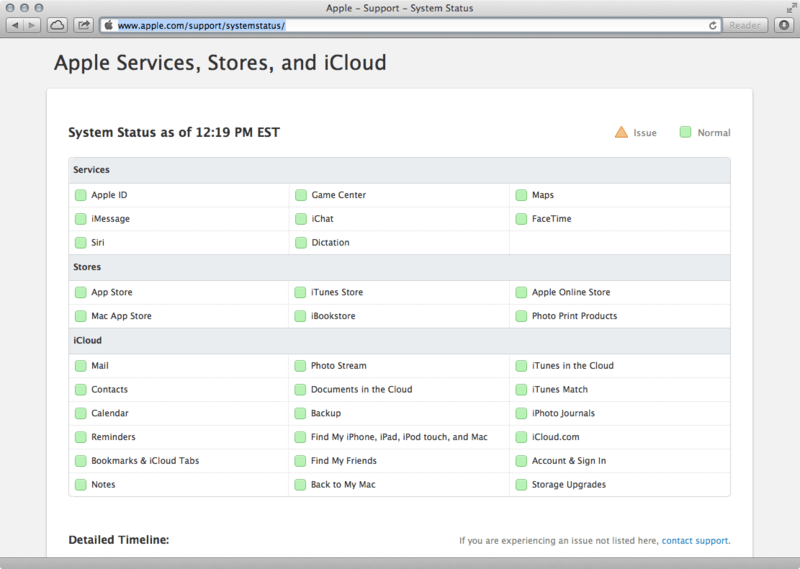 Apple now has a new system status page for their services, available at http://www.apple.com/support/systemstatus. This site goes through many of Apple’s services and shows an indicator light for when they are up. Additionally, you can scroll down to the detailed timeline and see a historical account of what services are online. This is yet another step in Apple’s continued progress at providing more and more information to the community on, well, everything. This includes seeing Apple popping up at conferences here and there, most notably at Black Hat this year, publishing more kbase articles that detail problems and allowing more community involvement from some employees. A more open Apple is a more enterprise, education and consumer friendly Apple.